Harrison Schofield – A serial killer preying on women. Francis Ackerman Jr. – An escaped serial killer. Taunts Marcus. 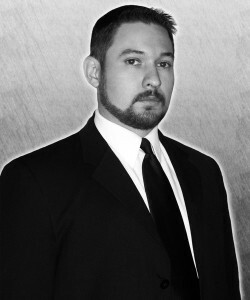 Marcus Williams – Member of a DOJ group known as The Shepherds. Victoria Vasques – FBI Agent. Brutal. That was my thoughts from page 1 as the story opened with a bang on a woman and two cops being tortured by Francis Ackerman Jr. Then the reader finds out there’s a second serial killer known as The Anarchist who is kidnapping and murdering young women. Think two serial killers are enough, not even, that’s why a third is thrown in known as The Prophet. 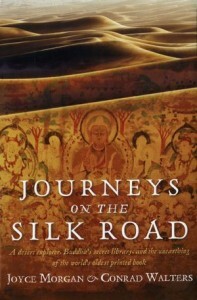 This book kept me glued from the first pages. Much of it was reminiscent of the Hannibal Lecter books. The killers are brutal. The Shepherds and the FBI really have their work cut out for them. The characters were well developed, and even marginal characters I managed to find myself caring about. There were also many surprises, some I saw coming, others I didn’t. Before I was finished with this novel, I was ready to go and buy the two previous stories The Cage and The Shepherd. I wanted to find out more about The Shepherds, and about Francist Ackerman. If you are a fan of movies like Silence of the Lambs, SAW, and others in that Genre, than I think you’d really find something to like in this book. If I were to give it a rating, I’d say R for all the blood and violence. If you pick it up, be sure to come back by and let us know what you thought. Ethan Cross is the pen name of a thriller author living and writing in Illinois with his wife, two daughters, and two Shih Tzus. In addition to The Shepherd and The Prophet, he has published two no- vellas––The Cage and Callsign: Knight (with Jeremy Robinson). *Disclaimer* A special thanks goes out to Cheryl at Partners in Crime Tour for a review copy of this book. It in no way influenced my review. You can discuss it here or join my facebook page and discuss it there. Airline Captain Frank Braden and his wife Nicole are suddenly stalked by professional assassins who have a deadline to make their deaths look like an accident or a suicide. And the couple doesn’t know why they are being targeted. They don’t realize that they stand in the way of a deadly conspiracy. Little by little they are pulled into a dangerous web of intrigue by a murderous criminal network that deceptively offers the pilot his wife’s life if he will concede to their demands. This is a thriller that rocks the highest levels of Washington. Dangerous Past is a story of a man who must choose between doing what ought to be done or keeping his family alive by allowing a murderous and powerful VIP to escape his past. This story was a fast, short read. The author managed to twist an intriquing web of political corruption into a tale along the lines of The Fugitive. Frank Braden is out to prove that he’s not suicidal, and that he isn’t responsible for the bomb aboard a commercial airliner. There are times when even his own wife doubts his story. As the story unfolds, it flips back and forth between the current time period and Vietnam. There was one area I found a little unbelievable, but would be a spoiler to mention. Let’s say it involves a prominent political figure that somehow managed to hide for years. Outside that I found it an enjoyable story. 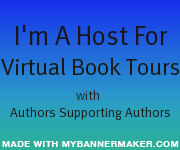 I think it would be good for all those political thriller and or mystery/thriller types of readers. I’d rate it as PG-13 for older teens and adults due to situations. Check out the book, and be sure to drop us a note and let us know what you thought. It was nine at night, when the FBI agent watching Frank’s house decided to drive down the road to get a cup of coffee. He figured it would take no longer than twenty minutes. Inside the house Nicole made some coffee and gave a cup to Frank to take outside to give to the agent. Frank went out the front door and looked for the agent’s car. He peered into the darkness and started to cross the street when he heard a voice from the side of the yard. “I’m back here.” Frank turned around and walked into the dark beside his house. “Over here.” Frank thought the voice now came from the back yard and he continued toward the rear of the house. When he got to the rear yard, Frank still couldn’t see the agent. Frank jogged towards the voice that seemed to be closer to the lake now. Standing in the shadows, John smiled. For whatever reason, whether his victim was a macho know-it-all type or just naive of the danger, many of the men he had killed had swallowed that bait. He also figured from the fax sheet he had received, that the Austin police had taken Frank’s .38-calber revolver. Under the new waiting law, John knew it was impossible for Frank to get another weapon so soon unless his intended victim wasn’t a law-biding citizen. And John was counting on Frank to be a law-abiding sort. As Frank neared Town Lake, he wished he had brought a flashlight. He couldn’t see the agent at all. So he went toward the shrubbery where he last heard the voice. “Hey, fellow, where are you?” Frank said. He felt foolish that he didn’t know the agent’s name. “Here, right behind you.” The voice startled Frank and he whirled around to face a well-built man wearing all black as though he was on a Special Forces recon night team. I’m in trouble, Frank thought, as he looked down the silencer barrel of a 9mm pistol. God, this guy is really good. Aircraft Company. He also graduated from Army Flight School and flew for the Ohio and Kansas Army National Guards. Later he was called to active duty and served two flying tours in Vietnam. After retirement from the military, he flew for corporations and for regional airlines. A dual rated ATP pilot, he has written for numerous national magazines, Sunday supplements and trade and travel magazines and has written screenplays and short stories. Today he lives with his wife in the Austin, Texas area and, when not writing, enjoys tennis, golf, flying and piano. 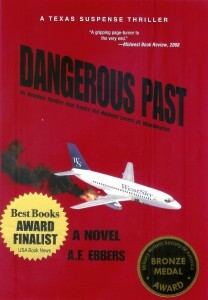 Dangerous Past is his debut novel. 6) Contest will continue until 11/27/2012. 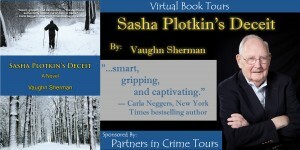 Sasha Plotkin – KGB Agent wanting to defect. 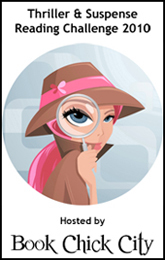 Chris Holbeck – A CIA agent working to help Sasha defect. Lisa Holbeck – Chris’ wife who is drawn into the political web. The setting is the late 60s early 1970s. Chris Holbeck is a CIA agent who happens to meet his counterpart in the KGB, Sasha Plotkin. The two men develop a friendship. During the course of this friendship, Chris learns that Sasha wants to defect. They set plans in place, and Sasha never shows up. A few years later, Chris receives news that they’ve once again made contact, and Sasha wants to work only with Chris. The plot for this is in some ways reminiscent of The Spy who came in from the cold, for that is exactly what Sasha is wanting to do. There are multiple conflicts the character run into, from Chris’ family resenting his career, to trust issues with Sasha. The author takes you on a lot of twists and turns, not only with the relationship between Sasha and Chris, but also between Chris and his family. You are able to see the toll that being an agent can have on one’s family. I really liked the book, and felt the ending was wrapped up rather nicely. The author, himself a CIA agent, pulled from some of his own experiences in crafting the story. This added a great depth of realism to the story. If you are interested in the spy novels along the lines of James Bond, you won’t find that here. But if you are interested in spy novels set in reality, with the way a real spy would handle his job, I think this should suit you greatly. It was a very good reading experience, and I’d look forward to more stories about Chris Holbeck and his family. If I were going to rate it, I’d rate it PG-13 just due to the content. Pick it up, give it a read, and drop back by to let us know what you thought. Friday dawned much like the day of his last meeting with Plotkin, cold and clear with new snow. Such a pretty day that this time he resolved not to return to the Embassy after signaling Plotkin at NK that the meeting was on. After the safety signal at ten o’clock, he’d go directly home, maybe have a chance to chat with Lisa before lunch. Upon leaving the Embassy, he noted that the sun hadn’t warmed the air at all. The squeaking snow under his feet confirmed how cold it was as he walked toward his car. The shadows from the trees along Strandvägen weren’t quite as long as they had been last week at this time. Stockholm was on the downhill ride toward spring. In the scant hour he’d been at the Embassy the car had cooled off completely. He let it warm up before driving downtown to wait the few minutes at NK for Plotkin’s safety signal. No policeman this time, and no Plotkin visible in the park. But then he hadn’t seen Plotkin last time, either. Next he headed west from the city, toward home. Chris enjoyed the drive and was feeling good as he slid to a stop in front of his house. Lisa didn’t reply to his cheery “Hello” when he let himself in through the front door. Now what? Her actions were so strange these days he was afraid she might have taken off without preparing the lunch for Plotkin. A walk through the dining room to the kitchen put his mind at ease. The table was set, and soup was simmering on the stove. She must have walked down to the shopping square for some last minute items. It wasn’t yet ten thirty, and she had no reason to expect him. He went back to the front windows to look down the street, on the chance that he might see her walking back. No Lisa, only a skier heading toward Drottningholm. This castle was located not much more than a mile from their home across Drottningholm Bridge. It was a favorite residence of the royal family and surrounded by a park open to the public. He and Lisa had skied there several times with the children during the Christmas holidays. An idea struck. Chris went quickly to his bedroom to change into long johns and ski pants, then to the front hall for his ski parka, hat and mittens. Next he went to the garage for his skis. He’d ski down to the square to pick up Lisa and come back with her. Outside the garage door, he slapped his skis down on the new snow and fastened the cable bindings. Out on the street Chris looked in the direction of the square. Still no Lisa. Nobody, in fact, on the street. In the other direction the skier had long since disappeared. An hour skiing at Drottningholm would probably do him more good than trying to talk with Lisa. Few people were outdoors on this work and school day. It was terribly cold, but the atmosphere brought some needed peace to Chris. He felt good. The children in their neighborhood were on skis most every afternoon. As he used his poles to push himself along and keep his balance, he thought about how Missy and her friends skied merrily along with no poles. Ah, to be young again! There was a knoll off the beaten path in the park where somebody had built a small ski jump, maybe a couple of feet high. Probably some of the older boys who lived nearby. Chris thought about trying it. He’d do it. Climbing the knoll took more out of him than he’d expected. Wheezing at the top, he made his weekly resolve to start an exercise program. The knoll wasn’t high, but looking down the run to the jump, it appeared a lot more impressive than from the bottom. Well, he had been a pretty good skier during college days. There wasn’t anybody in sight to embarrass him if he botched the little jump. He poled hard and headed downhill. Two things surprised Chris. First, his skis were much faster than expected. When he started out he almost lost his balance backwards. Then, when he dug in the poles and launched himself on the jump, he went much higher than he thought he would. In the few seconds he was in the air he realized that he had overcompensated for the first mistake. Now he was leaning too far forward. He tried to bring up the tips of his skis and failed, hitting the snow with the tip of one ski. He somersaulted, bounced on his shoulders, made a half-roll and came to a stop with his right ski buried in the snow. His leg must be badly twisted, he thought. He moved to untangle himself and came close to fainting. It was more than a twist, for sure. The pain was awful when he tried to move. Chris lay back, chilled, and felt the panic start. Nobody was in sight. 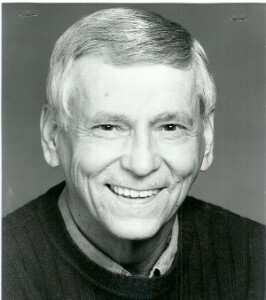 Vaughn Sherman was born and raised in Seattle, Washington, where he attended Roosevelt High School. After an active duty Navy tour late in World War II, he attended and graduated from the University of Washington, working in Alaska for the Fish and Wildlife Service during summer vacations. The Alaska experience led Vaughn into the career of a fisheries biologist, working for the Washington State Department of Fisheries. That career was cut short when he was recruited by the Central Intelligence Agency. He served long assignments in the Far East and Europe before doing a short tour in Vietnam 1973-74. That assignment ended when his wife became ill and he was needed at home to care for her and three school-age children. After taking early retirement Vaughn’s community activities have mostly involved the governance of non-profit agencies and community colleges. This work includes presentations and retreat leadership all over the country. He has served on the Board of Trustees of Edmonds Community College, as president of Washington State’s Trustees Association of Community and Technical Colleges (TACTC), and as president of the national Association of Community College Trustees (ACCT). 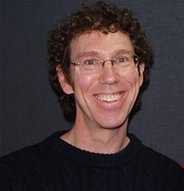 Vaughn studied creative writing at the University of Washington, an interest that has resulted in several publications. In addition to Sasha’s Plotkin’s Deceit, he wrote the memoir of a northwest mariner titled An Uncommon Life (1988). Two small books dealing with the management of community college boards of trustees have been published by ACCT. Essentials of Good Board/CEO Relations was released in 1999 and is now in its second edition. The Board Chair: A Guide for Leading Community Colleges, a collaboration with his colleague Dr. Cindra Smith, was published in 2002. A third book will be released in early 2012: Walking the Board Walk—Secrets of an Enjoyable Nonprofit Board Experience. This guide shares Vaughn’s thirty years of experience both as a member and trainer of nonprofit boards. 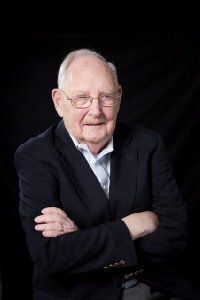 A certified mediator, Vaughn is a volunteer with the Dispute Resolution Center of Snohomish, Island and Skagit Counties. After the passing of his first wife, Vaughn married Jan Lind-Sherman, a teacher who brought her own children into the marriage. Their extended family includes eight children, eleven grandchildren, two great-grandchildren, and assorted siblings, nieces, nephews and daughters-in-law. See our giveaway for 1 electronic copy of this by going here. My dear friends over at the Nook Users Book Club are launchign their website today. Go visit there by clicking here, tell them I sent you, and see what all they have to offer you. You’ll find them to be a nice group of people and a good place for you to find books.